CHICAGO – The Council on Tall Buildings and Urban Habitat (CTBUH) has announced the recipients of its two Lifetime Achievement awards for 2016. This year the CTBUH Board of Trustees will award the Lynn S. Beedle Lifetime Achievement Award to Dr. Cheong Koon Hean. Dr. Cheong is the first government official and urban planning figure to win the award, and her work in Singapore to encourage smart growth and sustainable vertical development succinctly aligns with the Council’s focus on the urban habitat. The Fazlur R. Khan Lifetime Achievement Medal will be awarded to Ron Klemencic, a preeminent structural engineer and former Chairman of the Council. Klemencic was a clear choice for the honor, both for his countless contributions in the engineering of tall buildings and his commitment to disseminating information for the industry at large. The CTBUH is also pleased to recognize three new CTBUH Fellows for their ongoing contributions and leadership within the Council over a number of years. This award recognizes an individual who has made extraordinary contributions to the advancement of tall buildings and the urban environment during his or her professional career. These contributions and leadership are recognized by the professional community and have significant effects, which extend beyond the professional community, to enhance cities and the lives of their inhabitants. The individual’s contributions may be well known or little known by the public and may take any form, such as completed buildings, research, technology, methods, ideas, urban planning, or industry leadership. Dr. Cheong Koon Hean, is an architect-planner who has been credited with shaping much of Singapore’s urban landscape. 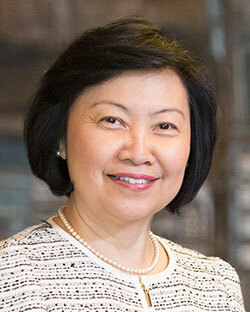 In her long career, especially as the Deputy Secretary in the Ministry of National Development and subsequently as the CEO of the Urban Redevelopment Authority (URA) from 2004 to 2010, she led the long term strategic planning of Singapore, crucial to ensuring that the development needs of the small city-state can be met. In 2010 she was appointed CEO of the Housing and Development Board (HDB) which houses about 82% of the residents of Singapore. At HDB, she led the organization to develop a new generation of well-designed and sustainable towns, setting new standards for quality public housing and facilitating the development of many award winning projects. She also played a key role in the development of major growth areas. In particular, she was the key driver of Marina Bay, Singapore’s new city extension, which has since become the new signature image for Singapore. A strong proponent of good design, she encouraged the development of many high quality tall buildings, transforming Singapore into one of the most livable and beautiful cities in Asia. This award recognizes an individual for his or her demonstrated excellence in technical design and/or research that has made a significant contribution to a discipline(s) for the design of tall buildings and the built urban environment. The contribution may be demonstrated in the form of specific technical advances, innovations, design breakthroughs, building systems integration or innovative engineering systems that resulted in a practical design solution and completion of a project(s). 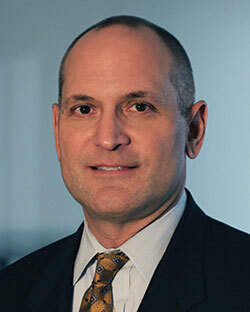 Ron Klemencic, is Chairman and CEO of Magnusson Klemencic Associates, an award-winning, 200-person structural and civil engineering firm headquartered in Seattle, Washington, with a branch office in Chicago. Over his 30-year career, Ron has worked on projects in 24 US states and 24 countries, with developments up to 650,000 square meters (seven million square feet) and towers up to 112 stories. 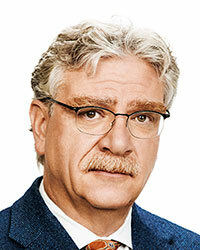 Ron is known for his creativity, innovation, and focus on complex high-rise and mixed-use designs. Since pioneering the development and U.S. adoption of “Performance-Based Seismic Design” (PBSD) methodology for high-rise buildings, Ron continues to advance the application, with a current count of 38 PBSD buildings—more than any other engineer in the U.S.
CTBUH Fellows are recognized for their contribution to the Council over an extended period of time, and in recognition of their work and the sharing of their knowledge in the design and construction of tall buildings and the urban habitat. Israel David received a BSc degree in Civil Engineering and MSc degree in Civil Engineering at the “Technion” – the Israeli Technical Institute in Haifa Israel. In 1990, he founded a structural design and consulting firm called “David Engineers LTD,” which he owns and manages. The firm is one of the largest engineering companies in Israel and is involved in projects in 20 different countries all over the world. 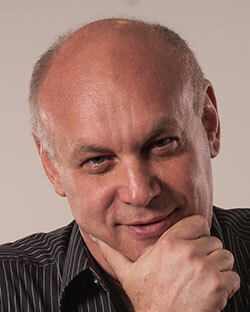 He has been the CTBUH Israel Country Representative since 2009. Mark Sarkisian leads Skidmore, Owings & Merrill, LLP’s San Francisco-based Structural Engineering Studio – an award winning group that collaborates with the firm’s other disciplines to create innovative and integrated structural solutions. His diverse portfolio includes commercial, laboratory, medical, historic, transportation, residential/hotel, and educational facilities, as well as mixed-use skyscrapers. He was one of the longest serving members of the CTBUH Advisory Board. 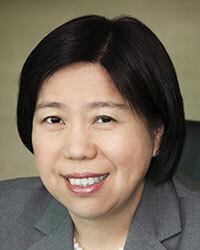 Cathy Yang is currently the head of the commercial company of Shanghai Tower. Before joining Shanghai Tower, she had been in charge of TAIPEI 101’s operation for 15 years. There, she guided TAIPEI 101 on the journey to become the world’s tallest LEED EB Platinum building in 2011, started the re-certification process in 2014, and initiated the issuance of the annual TAIPEI 101 Corporate Sustainability Report. She served as a member of the CTBUH Board of Trustees from 2013–2015.